Thanks for the photo Nathalie! 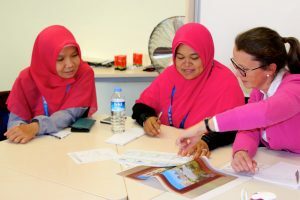 It seems a long time since Language World 2019 (it is three weeks I guess) so I apologise for the delay in uploading my presentation here; I’ve had a few website issues. However, here it is, and below are some notes that you may find helpful in recalling what I said, or trying to decipher the slides! You’ll also find below Clare Seccombe’s lovely sketchnote of the session which summarises what I said as well! Unfortunately I haven’t managed to find an equivalent for French or German. 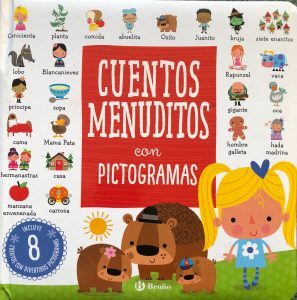 WidgetOnline is a subscription website that allows you to make visual stories similar to the Pictoaplicaciones suite but in English, or other languages with an add on pack. 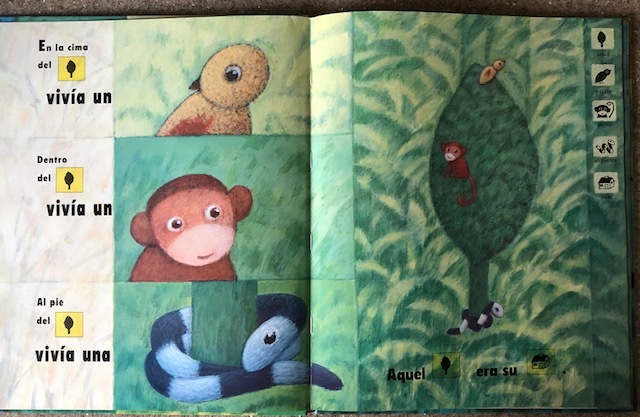 I got the materials to accompany my retelling of Dear Zoo/ Querido Zoo from there and then translated them/applied them to the Spanish story. 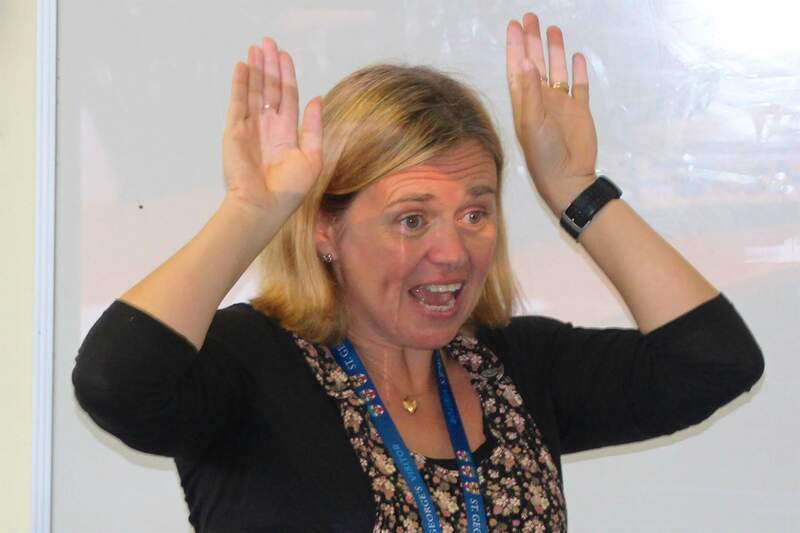 And there’s an article on Using Makaton in Storytelling that you might find interesting. Finally, I had a pile of books to share but completely forgot with the pressure of time so here are screenshots from a couple. 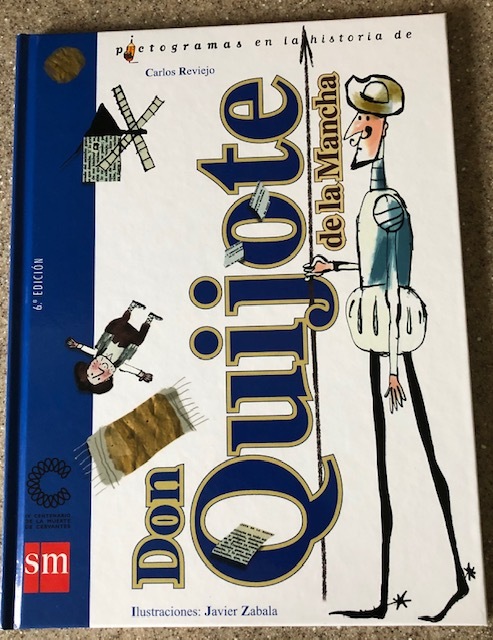 Firstly, Don Quijote de la Mancha which has the 2 USPs of being an authentic Spanish text, and also being written in Spanish ‘handwriting’, and El Pájaro, el Monoy la Serpiente en la Selva which is a charming story about living and working together. If you have any comments or questions, please leave them below, or you can contact me via social media! Yesterday I was in London for the annual ALL Council meeting, this year held at the Institute of Education. 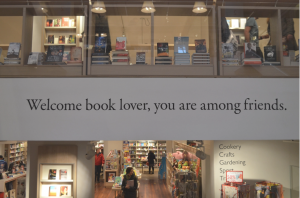 I deliberately set out early so that I could visit Foyles on Charing Cross Road as it now houses Grant and Cutler on the 4th floor. To be honest I could easily have spent far longer than the 40 minutes I had on 4th floor alone, and there are several other floors that were calling to me as well, including the cafe! However, 40 minutes was all I had and I spent it browsing books with several purposes. 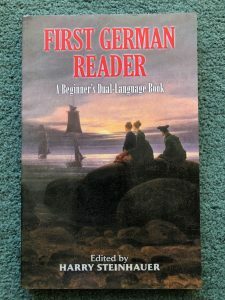 Looking for things for my own language development. Looking for new and interesting materials to use in my teaching. 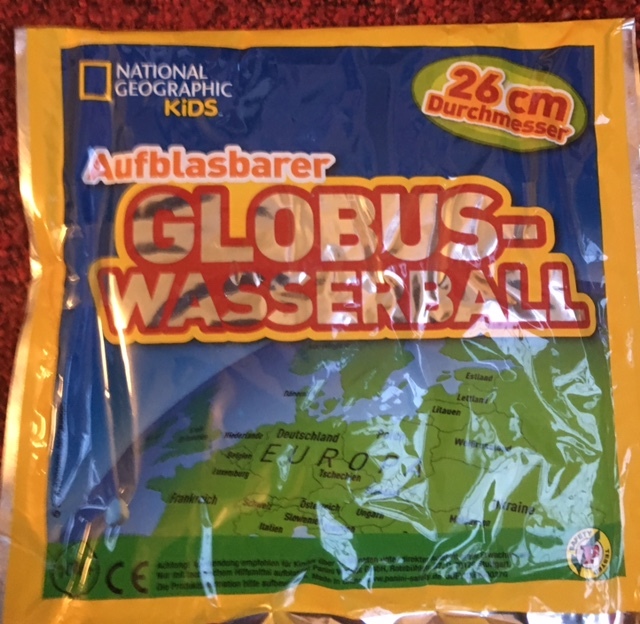 Given that Sohn#1 had just bought all his books for uni, and didn’t really know what he wanted as a gift, coupled with the extortionate price of Swedish and Norwegian books, I failed to find him anything. 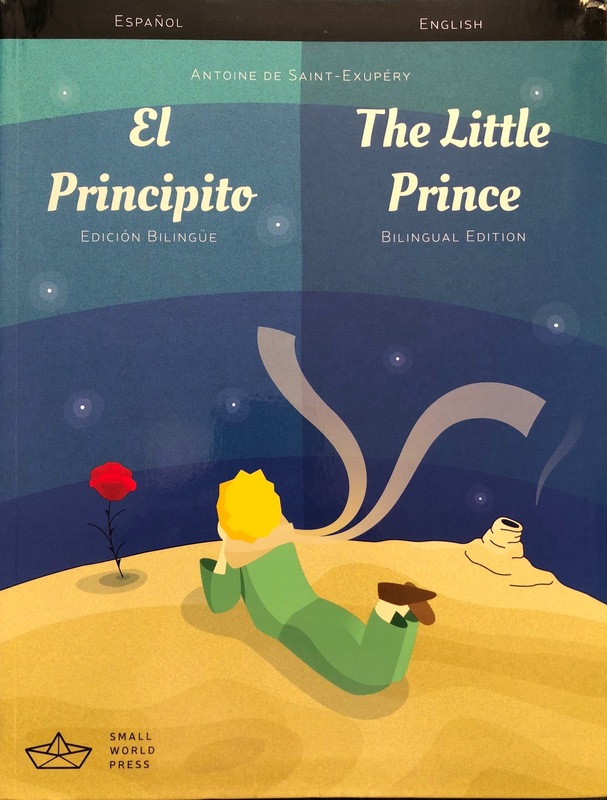 Hijo#2 has just purchased all the books on list for A level French and I couldn’t find any Spanish text books that a) we didn’t already have or b)I thought were worth buying for him to self study so I didn’t buy anything for him specifically either. 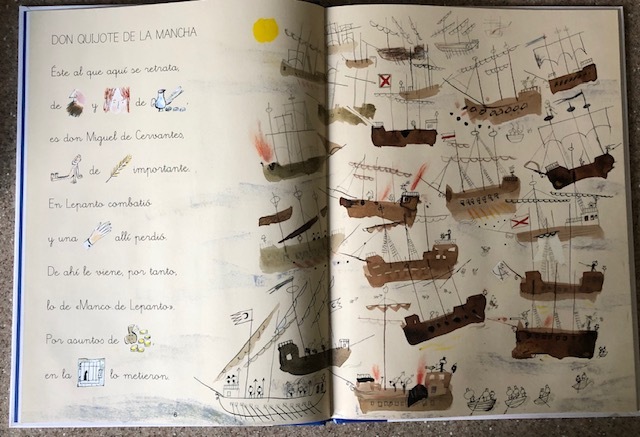 However, that’s OK as it reminded me of my copy of Harry potter á l’école des sorciers as well as reminding me to look out some Spanish texts from my past to lend to #2, and #1 has just had some books for the history part of his course. So on to purpose 2 – my language development. I can speak 6 languages with varying success from fluency to basic conversation, but I only really use two on a regular basis at the moment, teaching Spanish and speaking English. I don’t like to neglect the others so I made some purchases, partly to motivate me and also to keep my brain in tune! 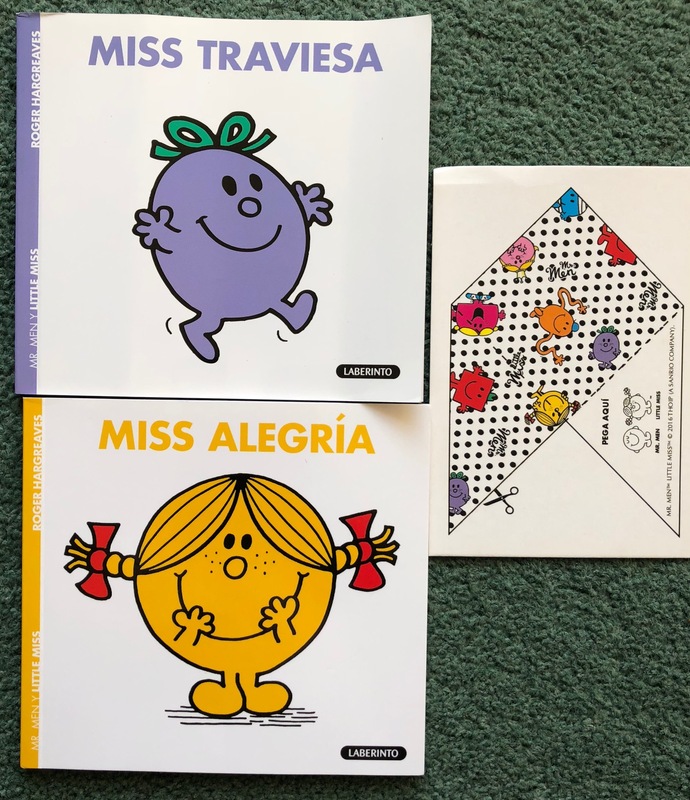 I studied Catalan at university (a loooong time ago) and, having not used it for many years, ten years ago I rediscovered my ability to speak it during a partnership between my school and a school in Barcelona. 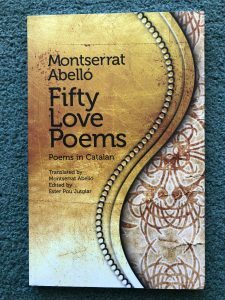 Since then I’ve not lost my love of speaking it once more, and over the summer I did a FutureLearn course on Getting to know Catalonia which reignited my need to read in Catalan.I’m eagerly awaiting for a promised FutureLearn course on Ramon Llull but in the meantime I purchased a dual language anthology of poems. I don’t read enough poetry and I find it particularly exciting to ‘hear’ the rhythm of the language as I read. 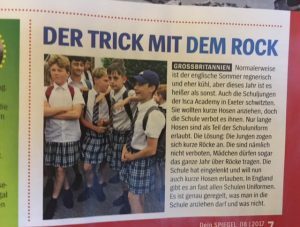 Since living in Switzerland I’ve been learning German; I’ve (nearly) stopped beating myself up about not having learned more while I was there and can certainly understand and often say far more than I think I can. Duolingo keeps me ticking over, although phrases such as Mein Kopf ist nicht aus Beton and Dies ist eine heilige Eule aren’t that useful on a day to day basis, and I’ve fortunately not had to declare that Eine Wespe ist in meiner Hose. However, I think it’s time I did some reading too. 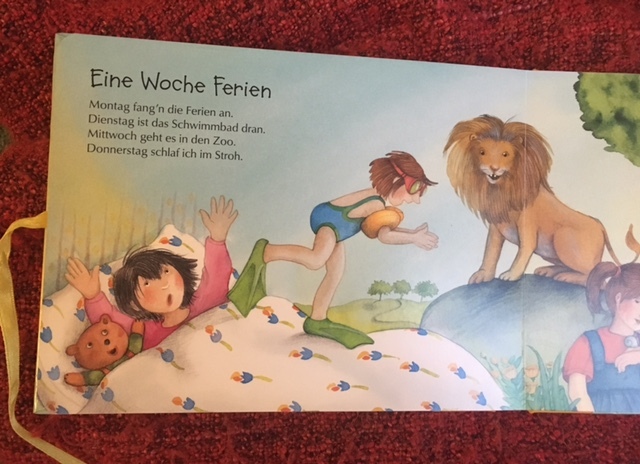 I have a collection of children’s books (see here here and here) including Mr Men books thanks to my MFL Besties Secret Santa, and Sohn#1 has left some of his books at home but I thought I’d try something a little less challenging before I embark on Kafka and Brecht! So I chose this dual text compilation of short stories to build my confidence as I can cross reference and check my understanding. I find that sort of exercise really helpful as I pick apart how sentences are constructed; I haven’t really been taught about sentence structure and word order so it’s quite interesting finding patterns for myself! One of the SDP objectives for both schools at which I teach is reading. 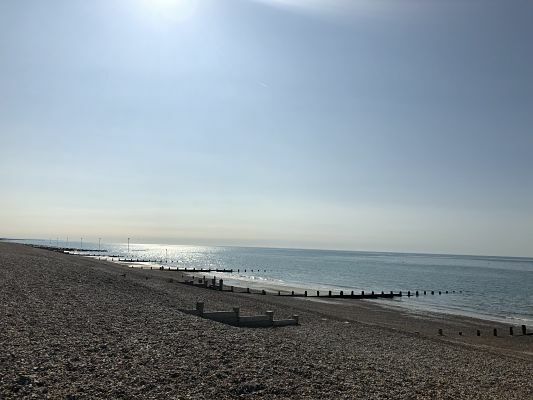 At both schools, staff are being asked to ensure that there are times in each day when children can read, and also a time for the teacher to read to the pupils. 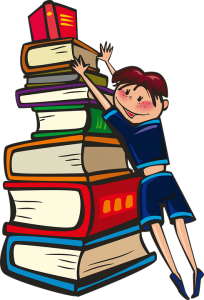 Children need to be exposed to a variety of texts and their vocabulary grows the more they read and/or are read to. Therefore, I had a look for some suitable texts that I could share. I have a number of Mr Men books in Spanish and bought a couple more. The stories are familiar to the children so, in conjunction with the illustrations, they can follow. However, I’m a little concerned that they are quite wordy so was looking for something else too. First I found this lovely book of fairytales. 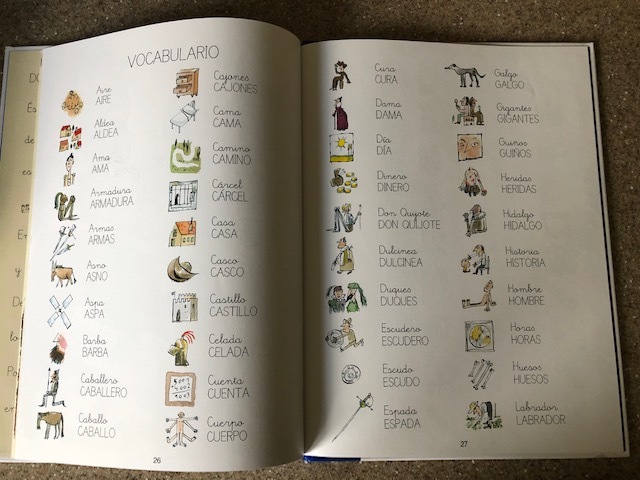 Each is just two pages long and starts with a page of ‘pictogramas’ that are used to tell the story in rebus form i.e. words are replaced with a picture. I’m looking forward to sharing them with Y3 – and the younger children when I get the opportunity as I’m pretty sure that they’ll soon be joining in with the story, ‘reading’ the images. 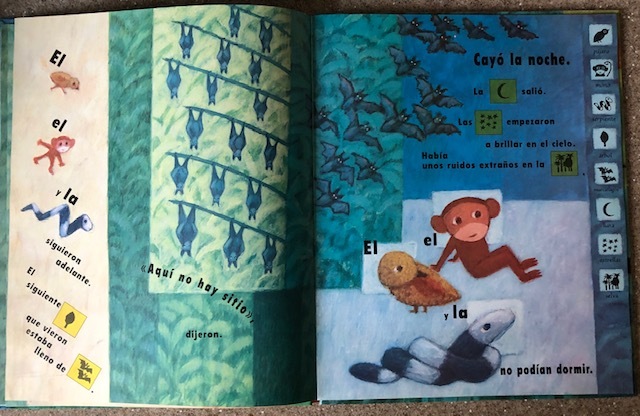 Then I found a couple of boxes of ‘100 Cuentos Cortos‘ that contain 50 cards, each with a short story on either side. 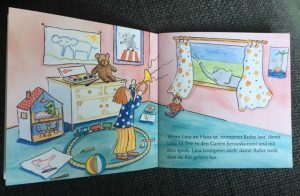 The stories are very short – some only a paragraph long – so there’s little time for children to get discombobulated by not understanding every word, and there’ll be time to repeat them more slowly a second time to allow a greater chance of comprehension. The vocabulary is simple, and the illustrations are clear and give a good idea of the story. 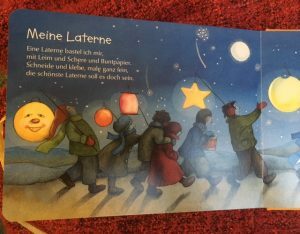 There are a variety of themes including weather, animals, different seasons and festivals, and some are based around traditional tales. I’ll probably use these with Y4 and possibly Y5. Finally I bought another dual language book for Y6 – El Principito. 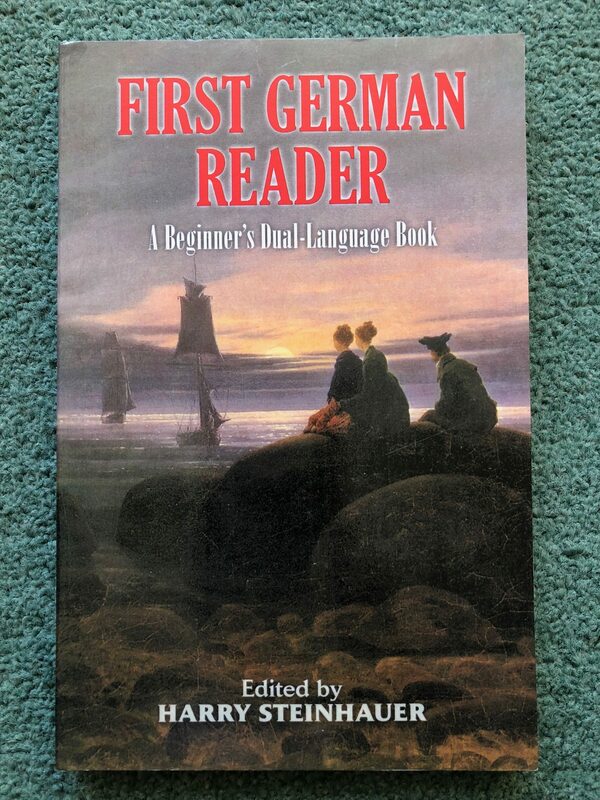 After the first few chapters that set the scene which will take longer than one session, the chapters are very short meaning that one can be read each lesson. 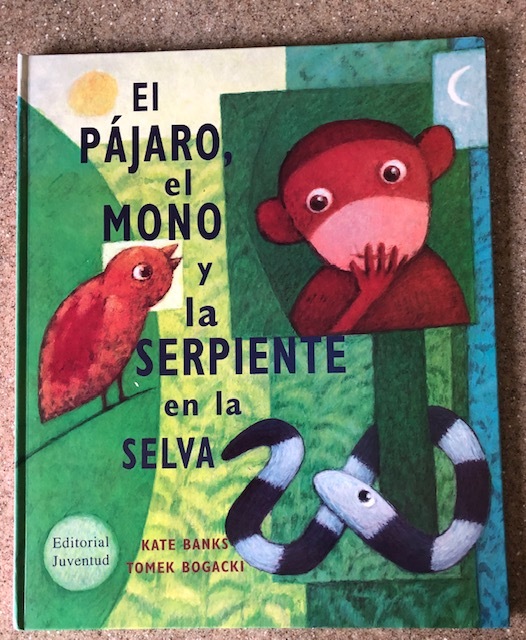 The beauty of the dual text is that I can read the Spanish version then leave the chapter in both Spanish and English for children to read before the next lesson to clarify doubts, ensure understanding and, for some, dissect the texts. Perhaps I’m being overly hopeful about how well this will go, but they do say to Aim for the moon; even if you miss, you’ll land among the stars. 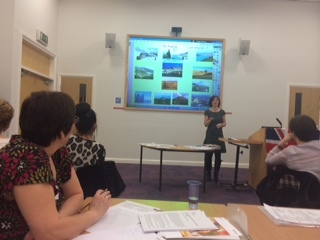 I was happy to be asked to present at the annual University of Chichester MFL Conference last week, and as I noted in a previous post, thoroughly enjoyed the positive and inspiring sessions I attended. I delivered two sessions. 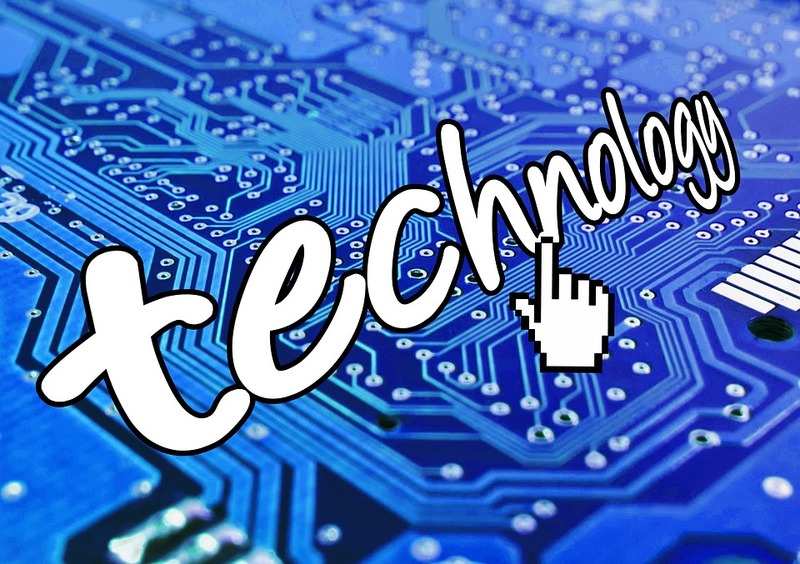 You can access the resources and ideas from the session entitled Using Technology for collaboration in a previous post Sadly, TodaysMeet no longer exists but otherwise the ideas, recommendations and apps are the same! The second session was entitled Tell me a story! and concerned the use of stories and books in the languages classroom. The presentation is below to view. You’ll also find the links to some helpful posts and bookmarks below. I hope those that attended found the session helpful. Please feel free to leave a comment on the post if you have questions or comments! 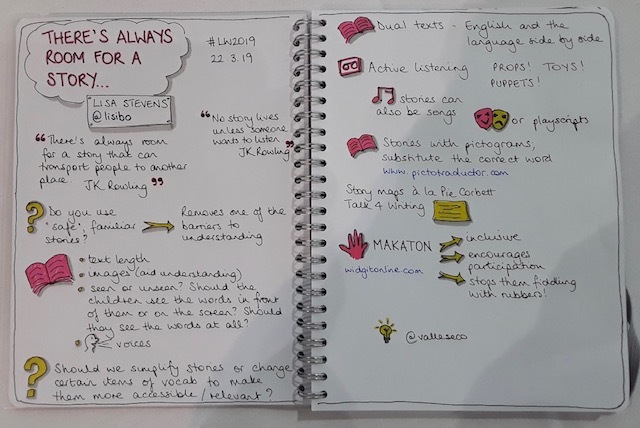 The book I mentioned that was recommended and demonstrated by Nathalie Paris at Language World was called Poux by Stephanie Blake – check out the sketchnote of her session here, and follow her book blog and podcast here for more great book ideas! Storybird wiki Watch this space for what happens to this when Wikispaces shuts later this year! 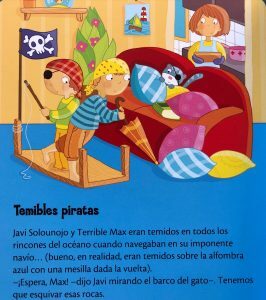 Blogposts on books on ¡Vámonos! 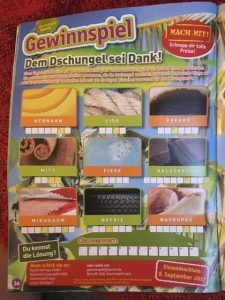 – lots of posts! 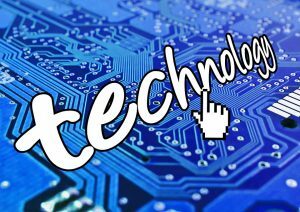 This year at Language World I was invited to present some ideas for using technology for collaboration in language learning. I teach primary so the focus was on that age group but there are many ideas and tools that are equally applicable for young and old! In spite of some technical hitches and running out of time as there was so much to share, the ideas were well received and I hope that this will serve as a reminder/update for those who attended, and a snapshot for those who didn’t. Below is my presentation. Whilst all the links work, the videos don’t I’m afraid but you’ll find some below to give you a taster. 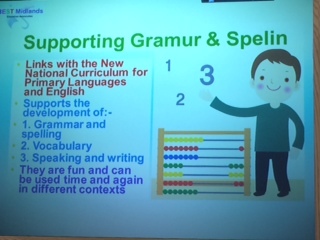 Link to BetsyBelle’s webinar Out of this World on using apps in the Primary Language Classroom. Highly recommended viewing especially if you’re interested in the how as much as the why. I’ve just come back from a lovely holiday in Bayern during which I tried hard to use my German – with some success including a heated discussion with a woman in Königssee about passports and plenty of food discussions. 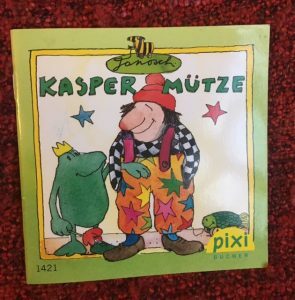 And Kasper Mütze is a PixiBuch that contains two stories about Kasper Mütze – Kasper Mütze hat Geburtstag and Kasper Mütze hat Besuch. 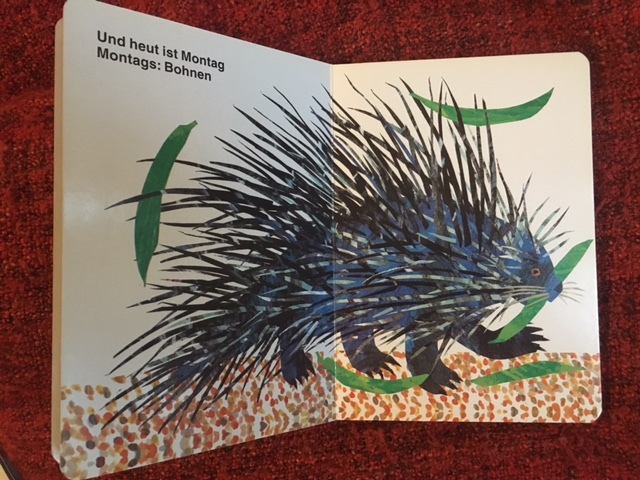 Each page is very simple and rhymes, the phrases are quite repetitive which is great for me – and for my planned German club who will all be beginners. 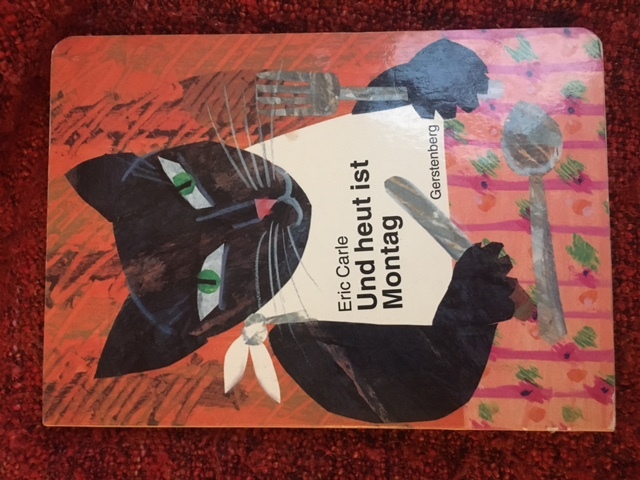 Und heut ist Montag – I love Eric Carle books and I’m familiar with this one in English and Spanish so when I saw it in the bargain bin for 2€50 I snapped it up! 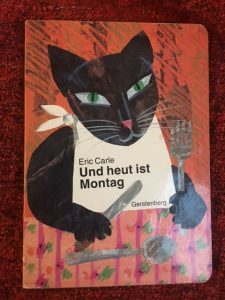 Days of the week, food and animals – lots of possibilities. And it can be sung too! 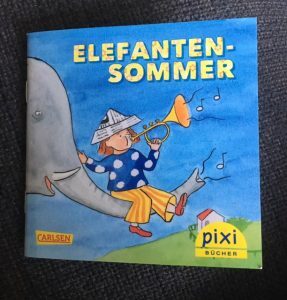 And then I saw this book Ich bin das ganze Jahr vergnügt in Salzburg when I was sheltering from torrential rain in a Buchhändlung. 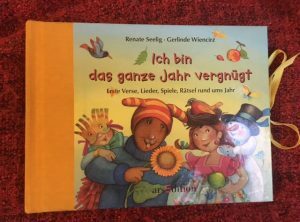 Lots of rhymes and songs for different times of the year, some with actions (like In dem Walde steht ein Haus) and others with music. I particularly liked the two above; on the left, a poem with the days of the week, and on the right a poem I could use to introduce a Christmas tradition from Switzerland called Räbechilbi. 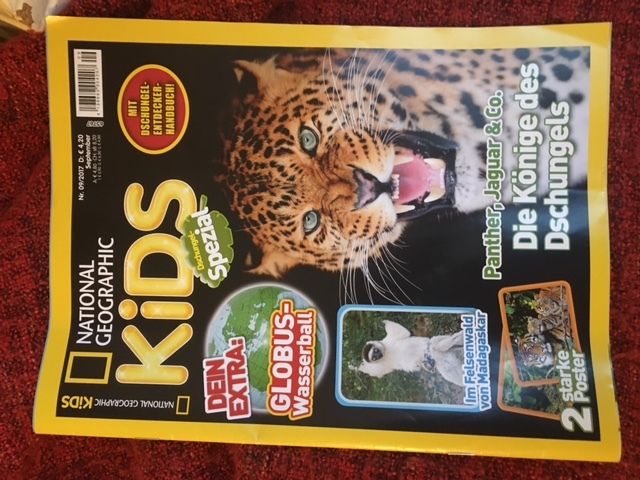 Finally, at the airport I found two magazines that I thought might be interesting to children – and me! 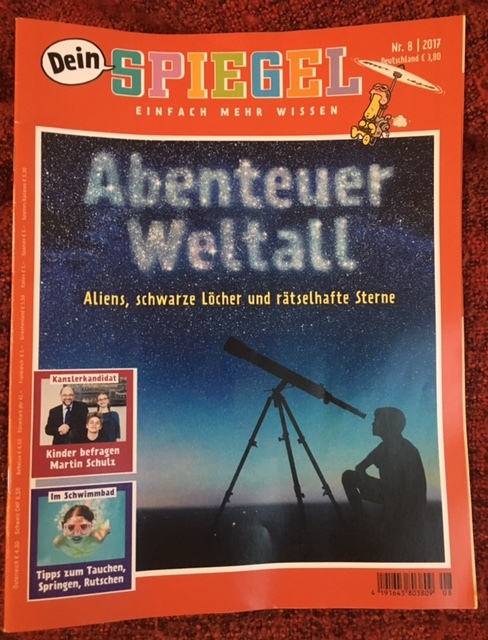 And Dein Spiegel is the children’s version of the famous Der Spiegel. 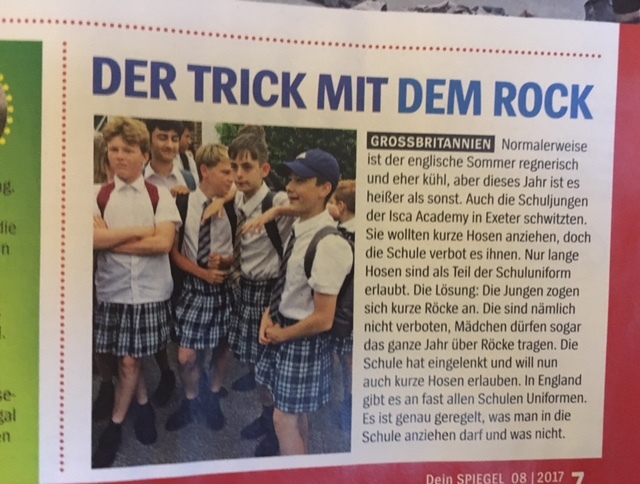 It’s more complex than National Geographic Kids but there are short news items like the one about the boys in England wearing skirts to school as well as longer articles about Sport, Natur, Kultur, Menschen, Wirtschaft and Politik. 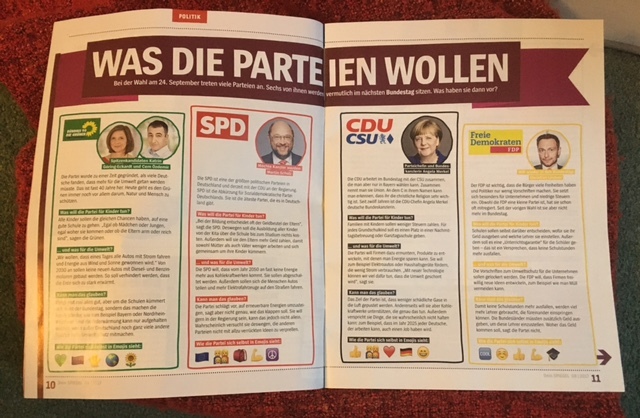 I’m hoping that I might learn something about the upcoming elections by reading the section below right. And then there’s the jokes page. 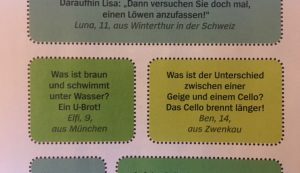 Some are a bit complex for me but I like the two below left – my trumpet playing son particularly likes the one about the violin and cello! I might have spent far more money but tried to restrain myself! On a recent flying visit to Switzerland I found myself in Orell Füssli at the airport and made a couple of purchases. Firstly I had a good rummage in the Pixi Bücher ‘bubble.’ (Should’ve taken a photo of it as I can’t find one anywhere!) 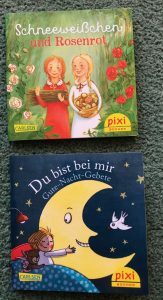 For those unfamiliar with Pixi Bücher, they are tiny (about 10cm square) paperback books that cost about 1 euro 50 or 1.90 CHF. 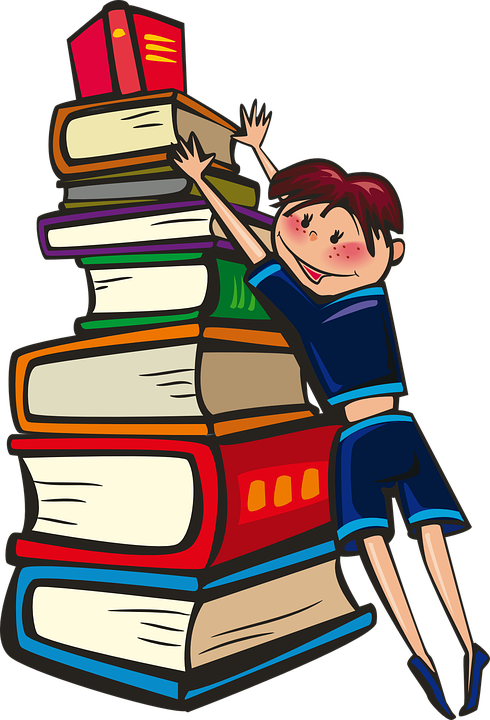 There are a variety of types including stories, information books and sticker books. 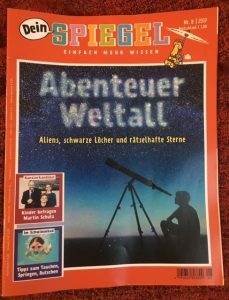 I was immediately drawn to Eins zwei drei Tier as it has an amusing cover and on opening it, I decided that it would be a good buy for my upcoming German club at school as it’s very simple. 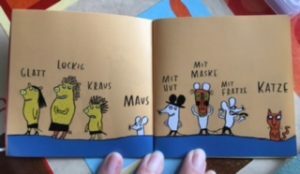 Each page has four characters on it; on the first page, three people are followed by a wolf; on the next, three wolves by a pig and so on. Each image is accompanied by a word, the third of which rhymes with the fourth which is the name of the animal. Some are names, some adjectives and some prepositions. Hopefully this image explains it if you don’t get the idea. I thought it would be good to read the book then give learners a list of the animals and see if they could predict the name of the animal in fourth place each time the next time I read it. 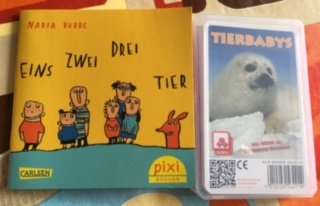 My other purchase was a set of cards called Tierbabys. 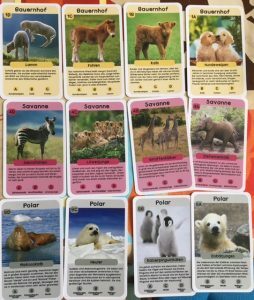 I thought that they were Top Trumps with statistics on, and had envisaged using them to rehearse numbers and the like in the context of animals, but they’re actually for playing Happy Families, with four animals in each of eight ‘families’ grouped by environment in which they’d be found. 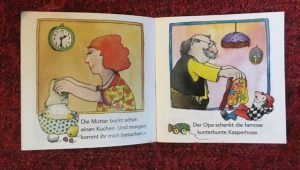 Interesting from a vocabulary point of view – how do you say foal in German? And calf? 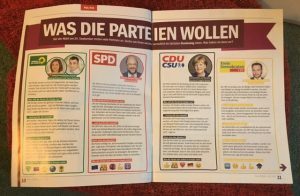 What does junge mean? 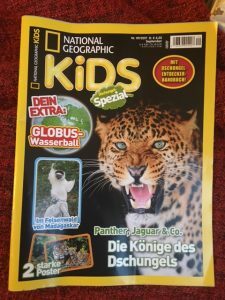 And küken? 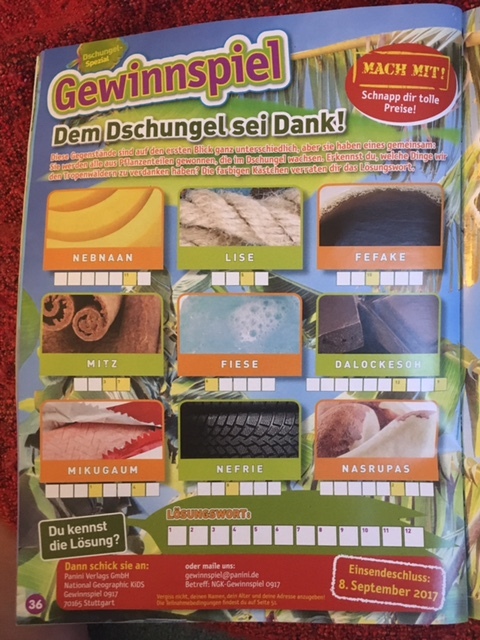 And also good for rehearsing the question “Hast du…” as well as manners – Danke to say thanks, Es tut mir leid to say sorry you haven’t and so on. So not quite what I’d envisaged but still useful. And the baby animals are very cute too! 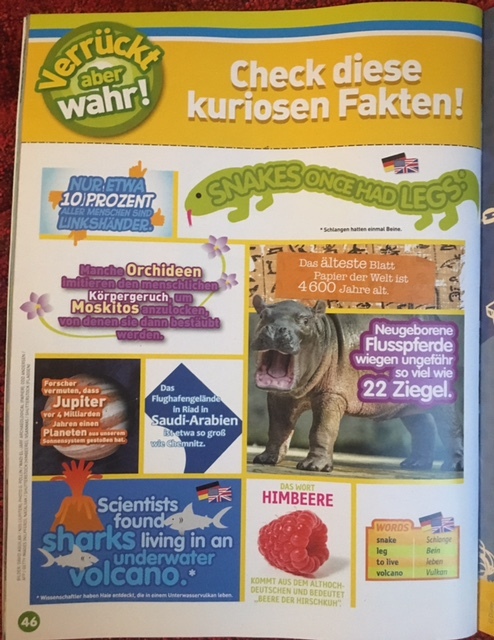 We’re off to Germany on holiday this summer so I expect to add more to my collection ready for September and my long planned German club at school! 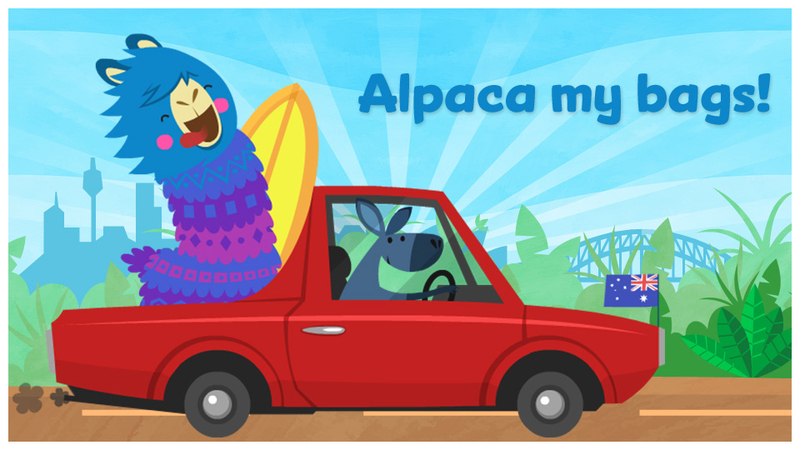 Learn to count 1-10 in Spanish with Pacca Alpaca. 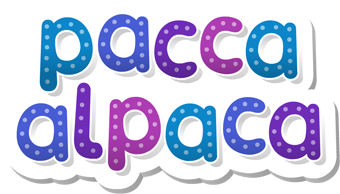 I’ve been working with Anamil Tech on Pacca Alpaca for a while now. 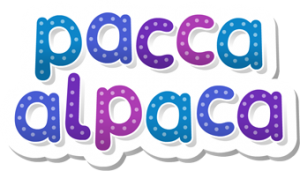 The apps Pacca Alpaca and Pacca Alpaca Travel Playtime have proved very popular and are now available in English, Arabic, French, German, Spanish, Mandarin and Welsh. Here’s the first Spanish video, released today! 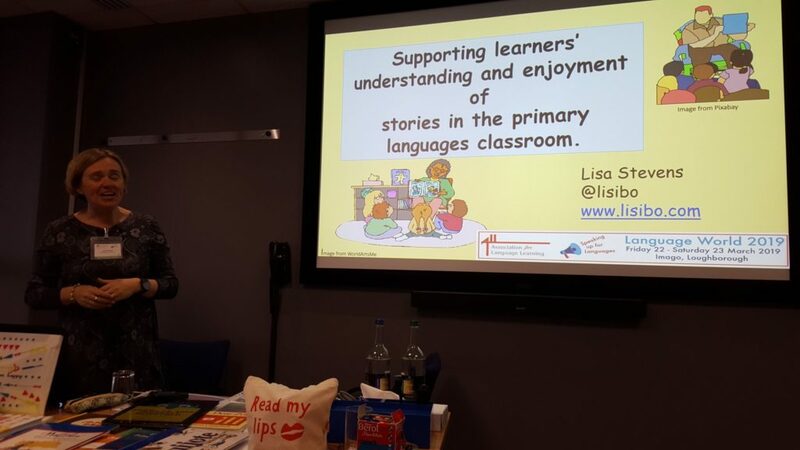 On Friday I was fortunate to attend the Stafford Primary MFL conference. I spoke twice, the after lunch keynote and then a workshop on cross curricular links, but really enjoyed listening to others and learning from their brilliant ideas. I like to share what I learn when I go to conferences. Sometimes I tweet madly and fail to make notes, and other times I try to take notes. On this occasion I started out trying to do both but went for the latter in the end. So here are my notes (without much editing!) I hope that they make sense! 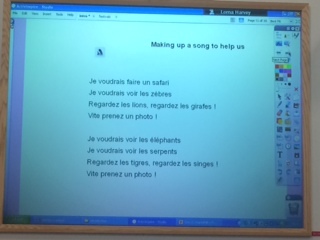 We looked at the PoS for languages and also for Geography, and looked at areas where they overlap e.g. 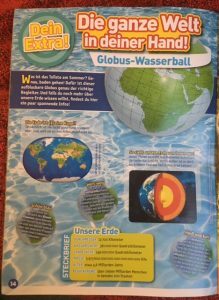 “inspire in pupils a curiosity and fascination about the world and its people” from the Geography PoS fits well with language aims. En Afrique je voudrais visiter…. 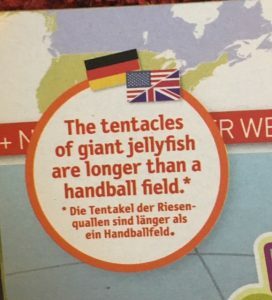 – looking at the rest of the world rather than just UK and USA. 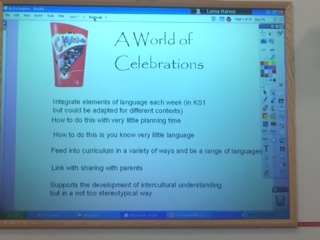 This began with the question – How can we integrate languages into KS1 each week with little time and little language? Can we find a festival every two weeks form Christmas to Easter? Japanese snow festival – looked at images and guessed where they were, used video clips to introduce – linked to hot/cold and played game. To pull together, look at a map of the places and label them – where would you go if you could choose? Karine Guillot – Role play! Role play! phrases to get someone’s attention including yelling Coucou! 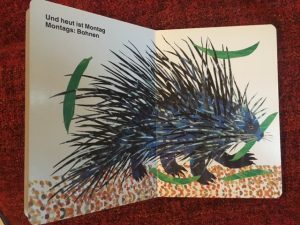 suggestions – Et si on….? 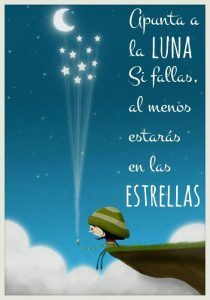 How about….. 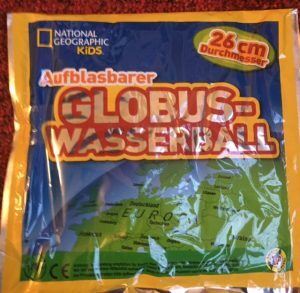 Et si on jouait au ballon? Et si on mangeait un snack? if one correct letter, you whoop saying letter in position! same as accents forever but for English! in English, a word like ‘light’ can have three actions! have a panel who write their word to fill a gap (from a list on the board) on a mini whiteboard. 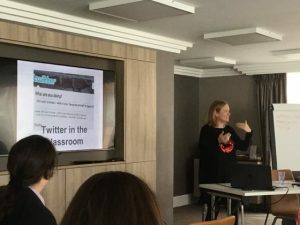 Lorna Harvey – Show off your language learning! e.g. 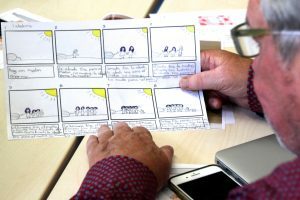 her school had previously used The Gruffalo in French with y3 and 4 as learners with parents invited to watch like at an Inspire – how can we teach parents and learners at the same time? using words that we want to use rather than the ones in the book! 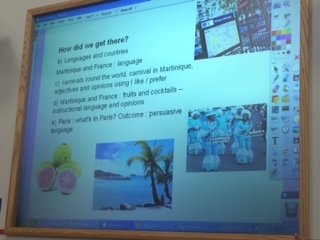 match descriptions of places to France or Martinique – which would it likely be? A really great day! I’ll share my presentations in my next post!